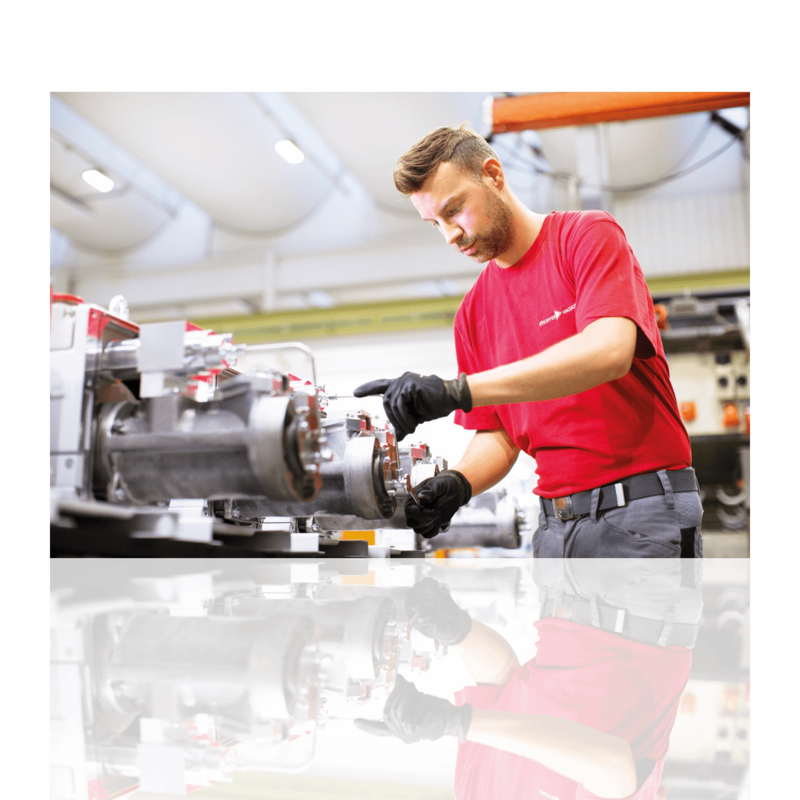 Preventive maintenance for machines and systems enables production outages to be avoided, on the one hand, and production disruptions to be eliminated immediately and efficiently, on the other. This necessitates qualified, competent personnel. This introductory course imparts the theoretical and practical fundamentals of vacuum technology. Participation in professional seminars on the subjects of vacuum generation, leak detection, vacuum measurement and mass spectrometry offer an efficient opportunity for familiarization with the subject matter and for regularly refreshing special knowledge. In these courses, small groups of your employees will utilize practical exercises to gain the technical knowledge and professional skills and abilities that are necessary for operating and maintaining vacuum components and systems. In addition to standard seminars, we also offer customer-specific seminars that are custom-tailored to your vacuum technology hardware and software configuration. Depending upon your wishes, the training can be conducted at our Training Center in Asslar, Germany, or in any location you may wish. Please register in writing by no later than two weeks prior to the beginning of the course. Indicate your full address with telephone number, as well as the name and date of the seminar. Please try to register as soon as possible. We accept registrations in the order in which they are received. Although we will confirm receipt of your application without delay, we do reserve the right to make final approval. Should the minimum number of participants not be reached, we will inform you around two weeks prior to the beginning of the seminar that it will not be conducted and offer you a substitute date. The prices for seminar offerings at our Training Center in 35614 Asslar, Germany, are € 490.00 per person and day. This includes: (Digital) course documents, lunch and beverages during breaks. The price for a special course at our Training Center in 35614 Asslar, Germany, is € 2190.00 per day for the maximum number of participants indicated in the respective course description, including (digital) course documents, lunch and beverages during breaks. The price for a special course on site amounts to € 1,950.00 per day for up to the indicated maximum number of participants, plus travel and lodging expenses for the trainer (only outside of Germany), plus expenses for preparation and follow-up activities of the course. We will be pleased to submit a detailed offer upon your request. The participant will bear the costs of travel and lodging. Upon request, we can make hotel reservations for you. The hotels are located in the downtown area of 35578 Wetzlar, Germany, around 6 km from Pfeiffer Vacuum, and cost between € 56.00 and € 80.00 per night, including breakfast. Please notify us immediately in writing if you do not wish to attend a seminar so that we can make use of the vacancy. There will be no charge if cancellation is made up to three weeks prior to the beginning of the seminar. If cancellation is made within three weeks prior to the beginning of the seminar, 30 % of the seminar price will be charged. Each participant will receive a certificate upon successful completion of the seminar. We have professionally developed the information contained in the seminars and in the course documents to best of our knowledge and belief. However we assume no liability for any mistakes contained in verbal or written statements at the seminars or in the course documents. This shall also apply with respect to any direct or consequential damages arising therefrom.